However many of the other required dependencies for the instances are not lised. You are definitely right. 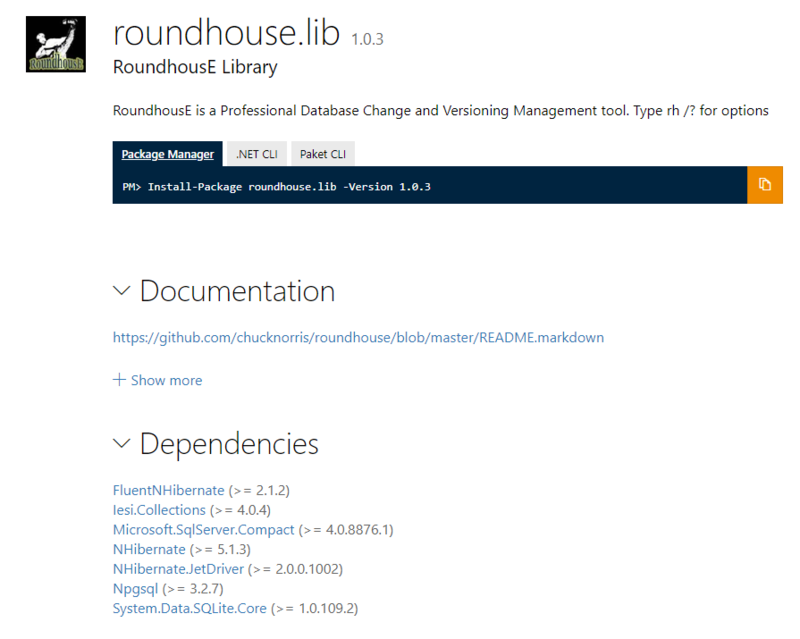 There has been some ILMerge-ing of the roundhouse.lib. It's starting to cause problems by itself too, I am considering skipping the whole ILMerge thing, and in the process the nuget package dependencies will be solved too. Thanks for reporting! I've never understood the need to ilmerge these days.